custom, full & partial wigs! Luxury Hair Plus offers All natural tailor made human hair enhancement solutions designed for your specific needs. watch our wig maker in action! Each hair is knotted (ventilated) individually 16,000+ hairs in total for an average 4.5 x 6 inch topper or closure, and approximately 80,000 to 120,000+ hairs for a Hand Tied Wig. For those suffering from hair loss whether it is due to chemotherapy, various forms of Alopecia, stress or damage due to poor maintenance, we specialize in designing an alternative that is fully customized and constructed according to the client’s natural hair growth pattern. This practice offers one a comparable look and feel to the hair that was lost and is key in restoring a familiar image. 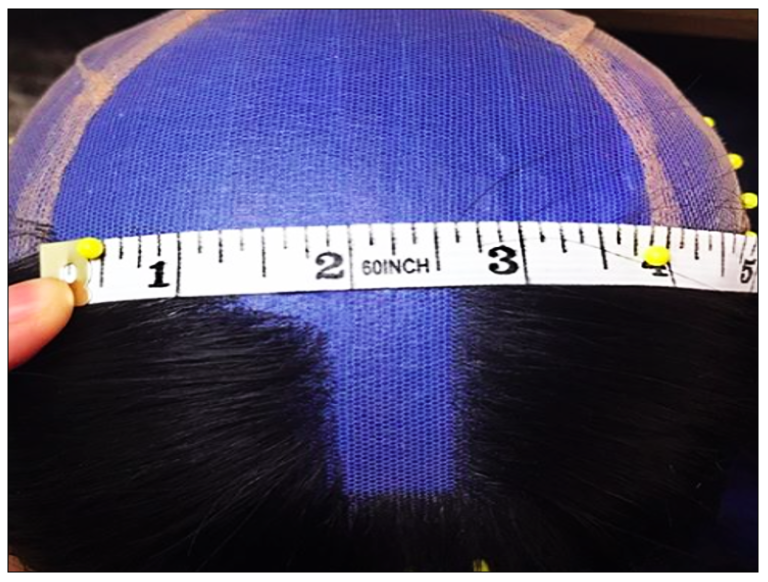 For a seamless fit we begin with a head mold as measurements alone can yield a less than perfect outcome. Once the mold is complete, a base is then constructed with the selected material according to the specifications. The final phase is to populate the base with hair within the preferred texture and density chosen by the client. "While I love working with wigs and extensions for runway, editorial and film, my real passion is working with clients who are going through chemotherapy or have Alopecia. That moment of seeing someone try on their new wig for the first time or seeing their finished extensions, and being able to instantly see their new found confidence...is priceless!" Approaching his ninth year in the hair industry, Casey specializes in Hand Tied wig making and hair extensions. After receiving his formal training from Arrojo, voted New York’s #1 salon of 2017, and education from world renowned stylist and educators like Nick Arrojo and Amanda Jenkins (now Ecru Global Director), he’s been able to combine his knowledge in all three facets, the ability to transition from a structured day in the salon, to the last minute production call. After working with ‘Luxury Hair Plus’ for over six years, now the Director and lead educator of their wig making department, he is also working in product development all while taking time for private clients at their midtown location. Request a private consultation and discover the benefits of hands-on custom wig making.